In a war-torn land, a magical land of heroic feats and epic quests, there is a place that has never felt the wrath of the ongoing and everlasting war between the five realms. Hidden deep in the shadows of a cavern in the hills of Strongcliff, it has been the best-kept secret for many years. 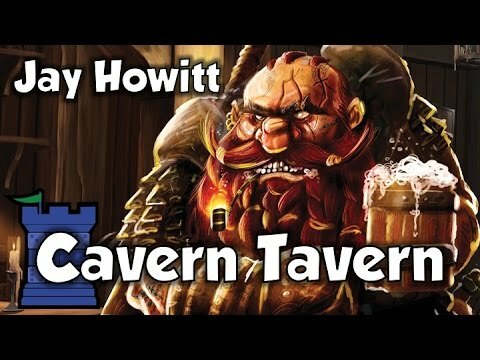 This place is called the Cavern Tavern. Not many know of the Tavern, and there’s an unspoken truce between those who visit it, no matter from where they come or to what realm they belong. But do not be fooled, my friend, it’s no safe haven! It’s the most dangerous place in the Northern Realm, maybe even more dangerous than the battlefield itself. The Tavern is packed with the toughest and meanest criminals from all five realms. It’s where war profiteers come to do their dirty business, and where renegades hide from the law. But, every now and then, you could also find some poor rogue who’s just lost his way.